The Evidence of Absence was a replica military surveillance blimp launched above a residential neighbourhood in London. Currently deployed in Iraq and Afghanistan, these helium-filled behemoths are being considered for use by forces in the U.K. and U.S. for border control. The Evidence of Absence, 2015. 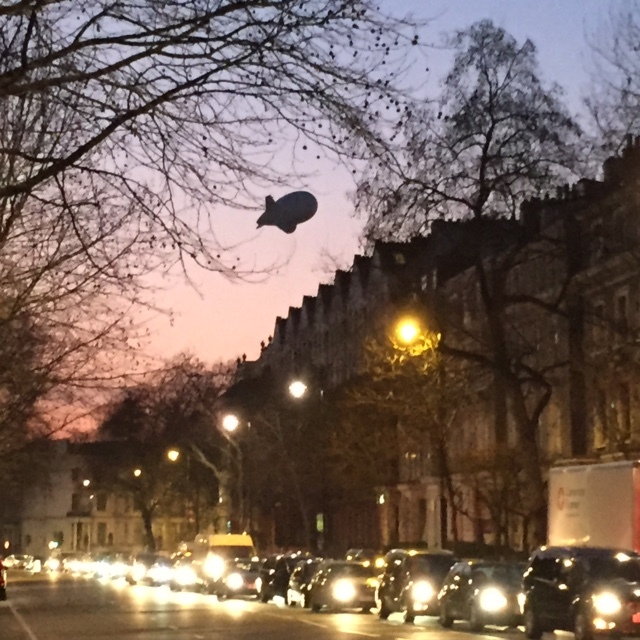 Replica military surveillance blimp over London.